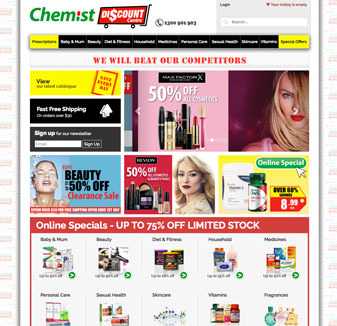 Do you want a website that will out perform your competition & drive sales? Hopping Mad Designs is a Sydney based Website Design & Digital Marketing Agency specialising in the delivery of creative website solutions with a focus on customer conversion rates, user experience & SEO. We have been market leaders since 1998, so we are known Sydney wide as experts in the design, development and marketing of websites for all types and sizes of businesses, organisations, Not For Profits and Government Departments. If you want a great looking website that will boost sales, drive business growth, get a fantastic ranking on Google and bring in all those lovely new sales leads then get in touch with the team at Hopping Mad Designs - 02 9360 8514. A website is only as good as the revenue it generates. We help grow your business online. If your business is looking for a stylish, fresh, contemporary website design to improve sales, customer conversion rates, or an effective eCommerce website to sell your products online – we are the Web & Digital Agency that Sydney businesses turn to for getting their website designed, built and optimised (SEO) for maximum website traffic and sales. We know what is takes to make your website more conversion friendly, generating significantly more high quality leads for your business. All our websites are recognised for their creativity, usability customer experience and overall performance. PLUS they are all very SEO friendly, which means once built, they will rank on really high on the search engines, especially Google. The websites Hopping Mad Designs produces helps all our clients achieve major long-term online success. We like to think of ourselves as an extension of your business and will work with you to ensure your website becomes the most powerful marketing and sales tool it can possibly be. Our methodologies & web processes really work and are proven to deliver tangible, real commercial online success. We design beautiful, hard working websites for your business. 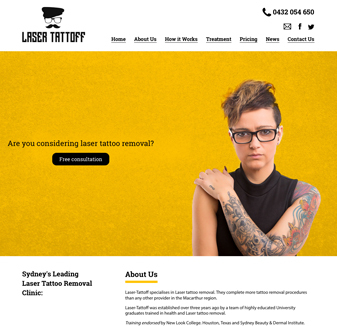 As a website design company, we have been servicing businesses throughout Sydney for the past 18 years, to deliver website design and online digital marketing strategies that simply work. Businesses come to us because we are able to transform their websites into powerful sales tools. Our experts team of digital strategists are truly passionate and committed about getting your business results. If you would like Hopping Mad to design, build and market ( through SEO + Social Media) your next website, or just a website re-fresh – CALL 02 9360 8514. We would be more than happy to discuss all the fantastic and very powerful online opportunities available to you. 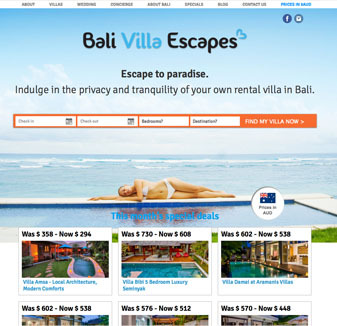 Have a look at www.balivillaescapes.com.au as an example of a great UX and design – combined with effective SEO this site is delivering over 6000 unique visitors per week. 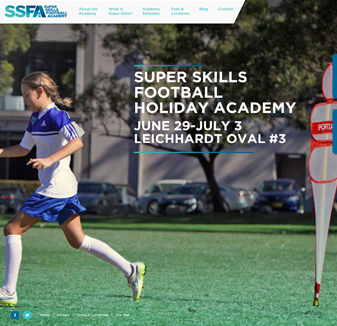 Responsive website solution for a soccer skills academy. 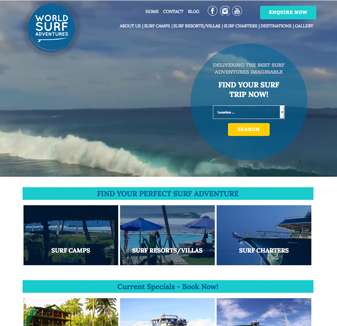 Responsive website with video for a surf charter & resort travel agency. A full SEO and social media campaign. 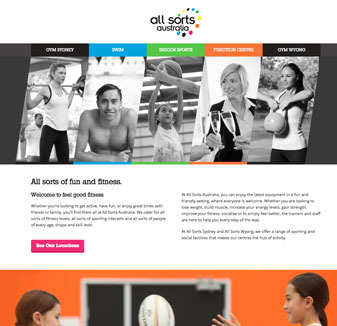 New website & SEO campaign with micro sites for All Sorts FItness and Wellbeing Centre. Designed & built by qualified web designers, here in our Surry Hills, Sydney studio. Hosted on quality local servers that we recommend for speed, safety, reliability and efficiency. Built with mobile and hand held devices in mind. Hands on with technical support; available from our expert team. Any troubles, you can rely on us for complete support – we are known for our efficient customer service. Very search engine friendly. Please talk to us about SEO, Adwords, social media marketing and getting your website ranked on Google. We know how to drive enormous amounts of traffic through to your website. Built using a open source and user-friendly Content Management System (CMS). You can update the content of the web site, giving you flexibility and freedom with your web content. Our WordPress CMS is also very SEO friendly and comes with the latest security add ons. Open to advice when it comes to choosing the right domain name for your business. We can even advice you on multiple domain name registrations, for domains that you can use later on when your business expands. Very valuable advice especially now that domain names have such an important impact on site rankings. Built with Website Statistics. All our sites come complete with Google Analytics so you can see exactly who and where the site traffic is coming from. Delivered on time and always on budget. We never miss a deadline and are always within our quote. With us, there are never any surprises or hidden fees. You will find that working with us is very easy. Whether you are looking to increase sales, attract attention, advance your reputation, inform customers or to re brand, we can help. We employ a thorough briefing process to gain a clear understanding of what it is you want your website to do. From this, we are able to research your market or industry, explore what your competition is doing and propose an informed design strategy. We look at all elements of website design; from aesthetic appeal to user enjoyment, functionality to readability. There are many great designs, but sadly not many are great for a particular brief. It is our task to ensure that your design delivers across a range of performance measures. On taking your brief, we match your brand to a designer who understands your industry. The subtle nuances that enable your brand to connect with your peers are key to making your website work. Want a quirky website? We have designers who are digital artists. Want a corporate look and feel? We understand the importance of being conservative where appropriate. Either way, we can create fresh and appealing designs that are genre, industry and market specific. Spend a moment or two online and you might feel an uneasy sense of familiarity. While there are many web studios offering cheap designs at bargain prices—don’t be fooled. What this often means, is that they are working from base templates, inserting your logo and colours, and handing over a site with no originality, thought or online strategies in place. 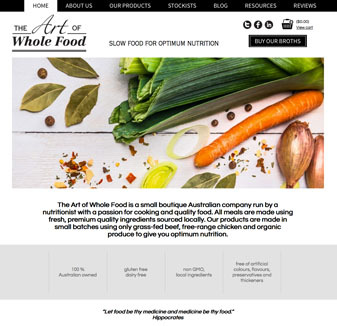 In an era where brand differentiation is paramount and audiences are becoming ever more tuned in to a blatant disregard for their attention, it is vital that you invest carefully in your website design. Online audiences want to feel as though their interests have been considered. If they are interested in your product, you want to offer them a quality user experience — it’s what will keep them coming back. A template says a lot about your business, and none of it will be good for your brand. Our designs are always, fresh, unique and designed to your specific brief. 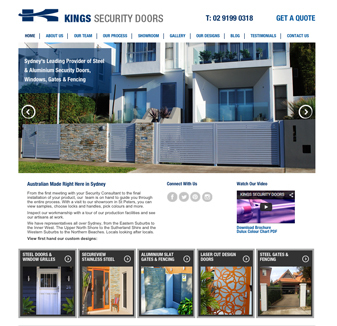 We have a great deal of respect for companies who want to be active in their website design. Rather than see your calls or email as a task, we see them as an opportunity to gain further understanding of your needs. Great customer service is what we are known for. If you have a particular budget, we will find a solution to meet it. No matter the size or complexity or the project we will always look at creative options to meet your budget requirements. We make sure that your web page designs will convert online visitors into paying customers. At Hopping Mad Designs we optimise every part of your website to maximise your consumer conversion rates. Each page is mapped out and planned to keep your customers engaged and ready to make that purchase. We know what consumers are looking for online. Are you ready to get a website that will boost sales and drive inquiries? Call us now 02 9360 8514. If you are ready for a professional looking website that has it’s own unique style, act as a powerful sales tool, out perform your competition, boost sales and keep your customers coming back time & time again – then call us today on 02 9360 8514. Our designers and SEO experts are ready to help. We deliver what every business needs: more customers that want to buy from you. Our websites have a strategy behind them to drive sales and grow your business and brand. This is great if you have an eCommerce website or are a business start up and want some quick wins. All our websites are super SEO friendly - if want to rank on Google, speak to us. We have a team of in house SEO specialists that know what it takes to get you to page 1 of the search engines. Web design, SEO, Adwords, content marketing, social media management, graphic design, conversion specialists....It’s like having your very own digital marketing team on demand... just call us. You will be surprised at how affordable our website design packages really are. Call us and see how easy it is to get online. Our websites are all built using simple to understand, easy to update WordPress, Joomla & Magento CMS platforms. PLUS we will train you! See why Sydney businesses absolutely love working with us. 18 years and still growing.